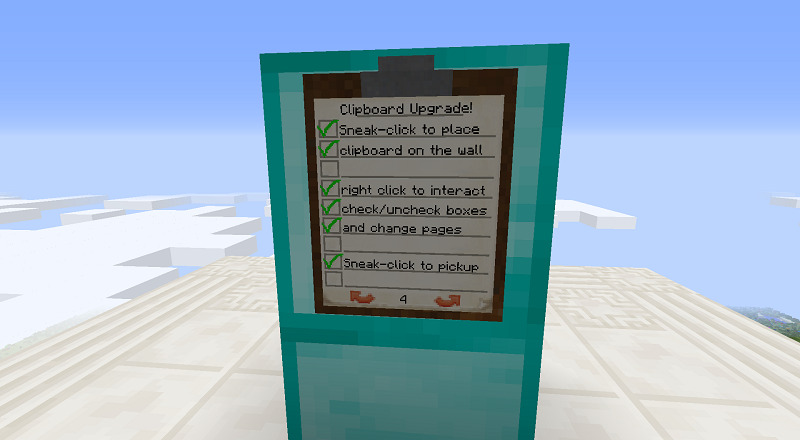 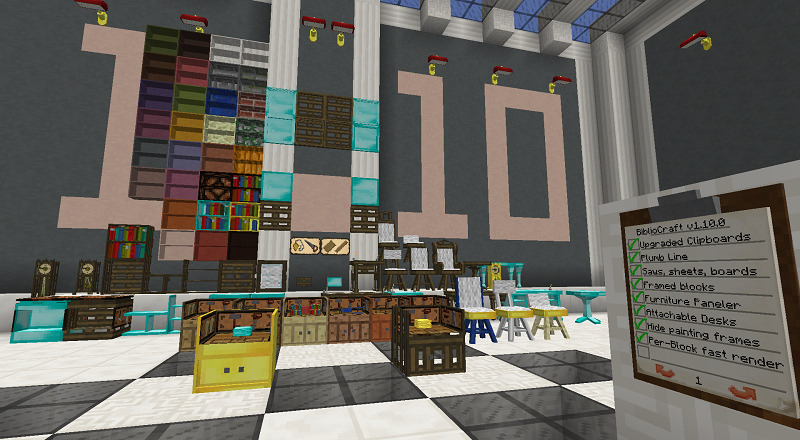 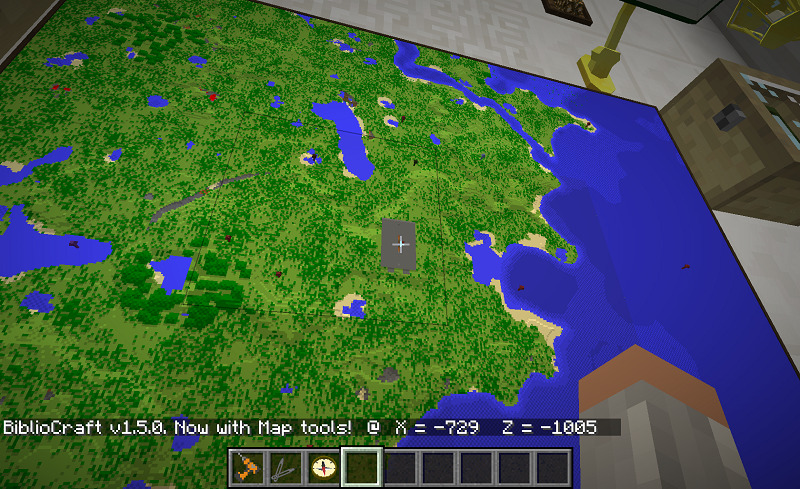 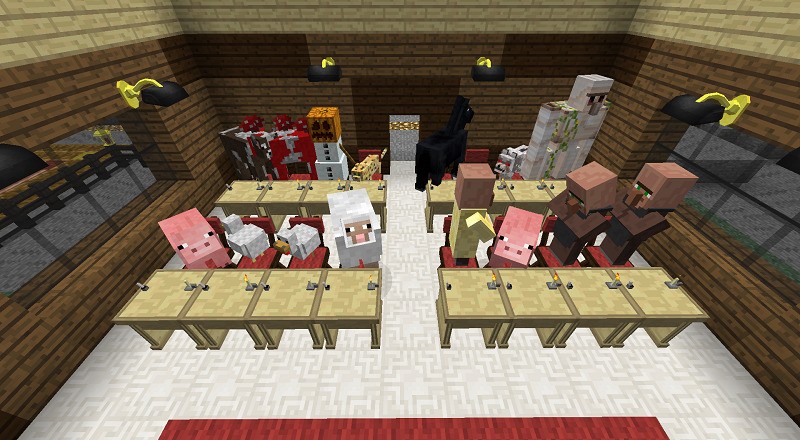 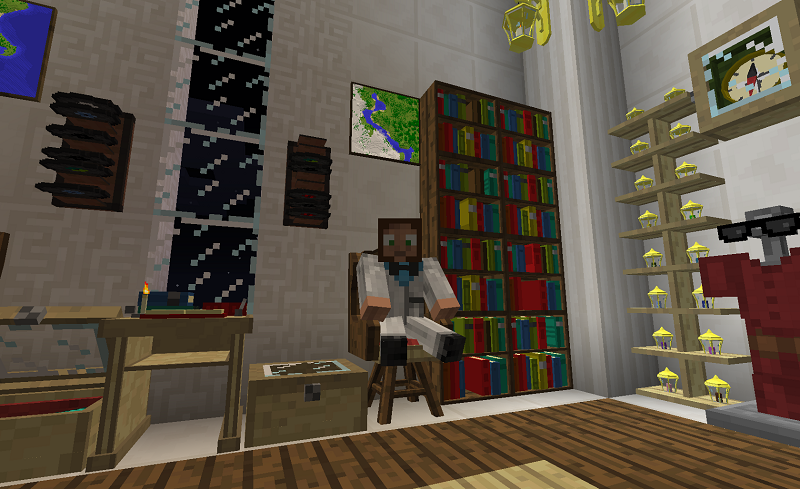 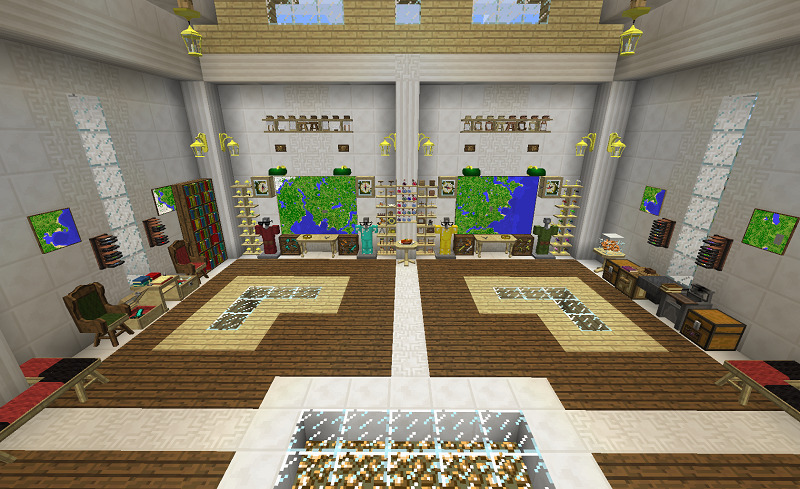 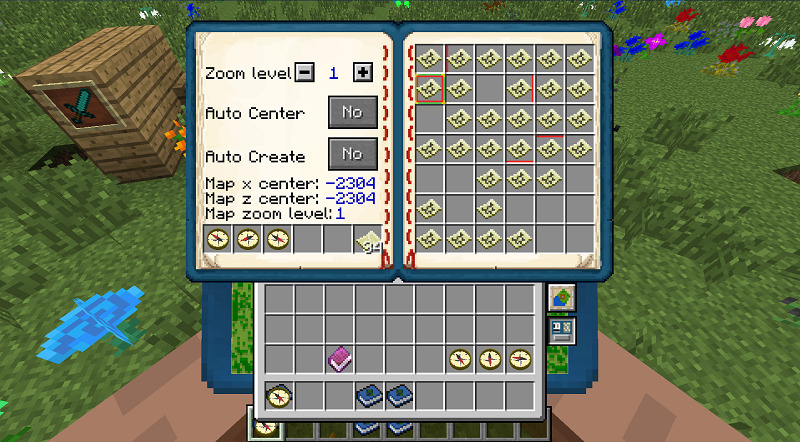 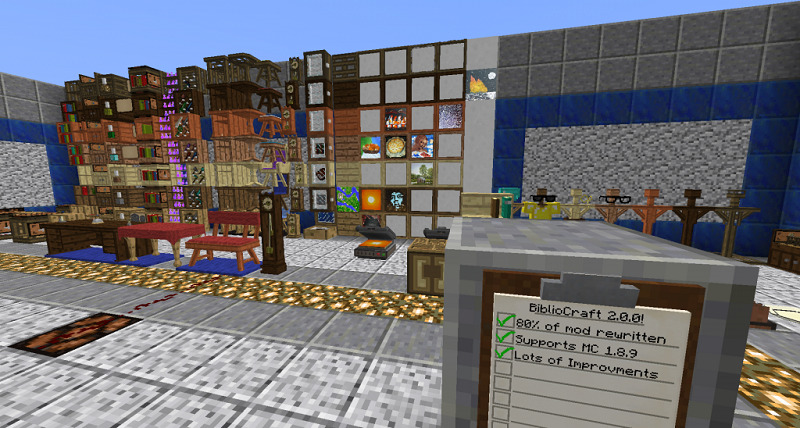 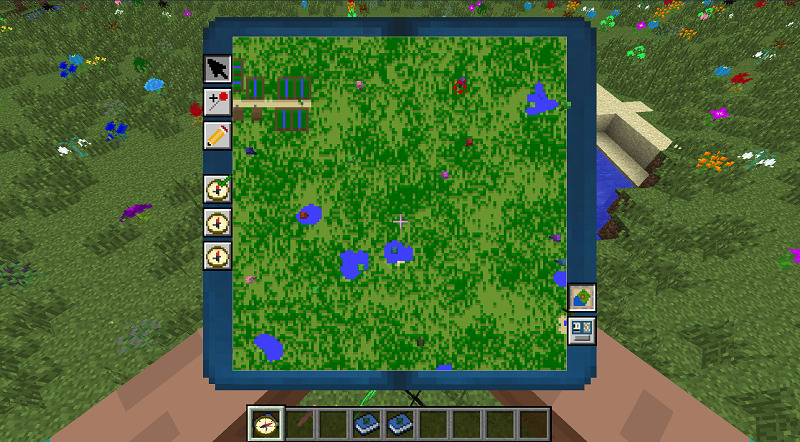 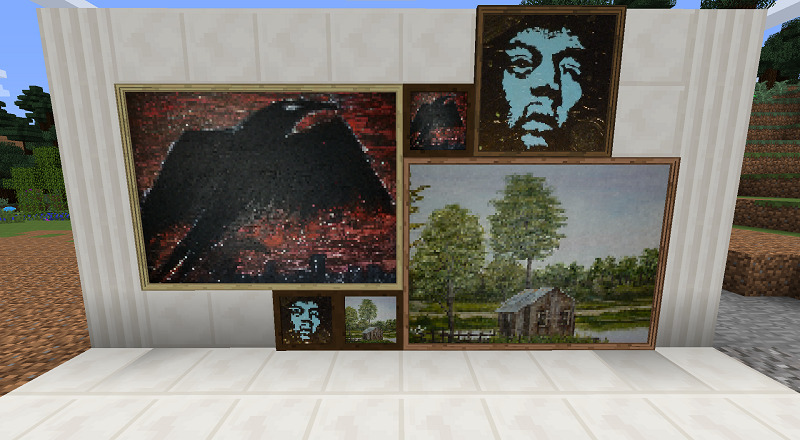 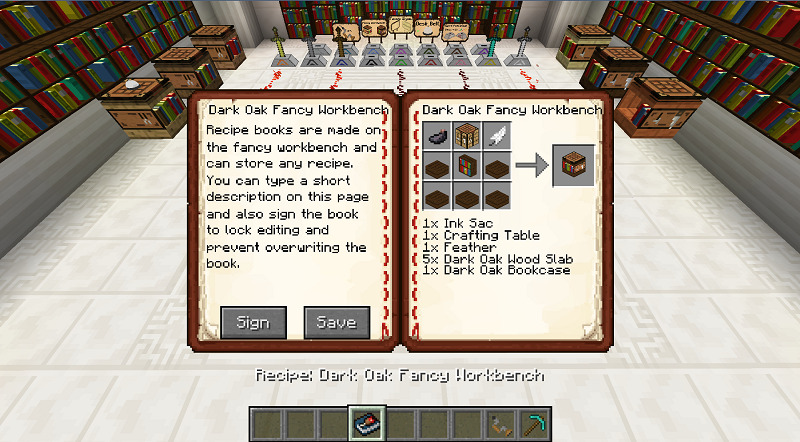 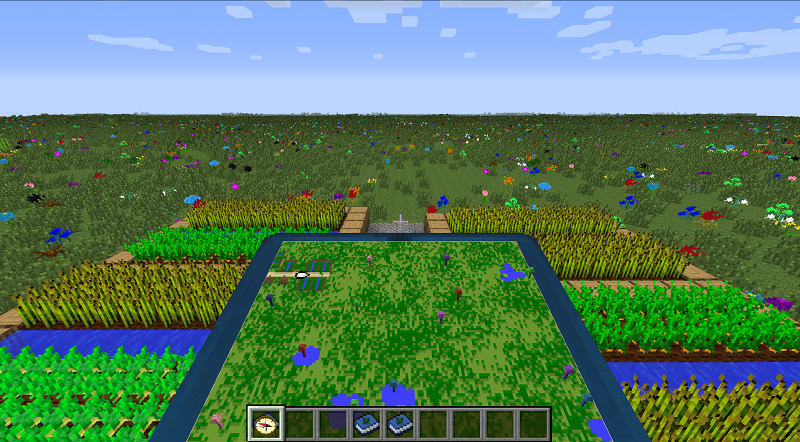 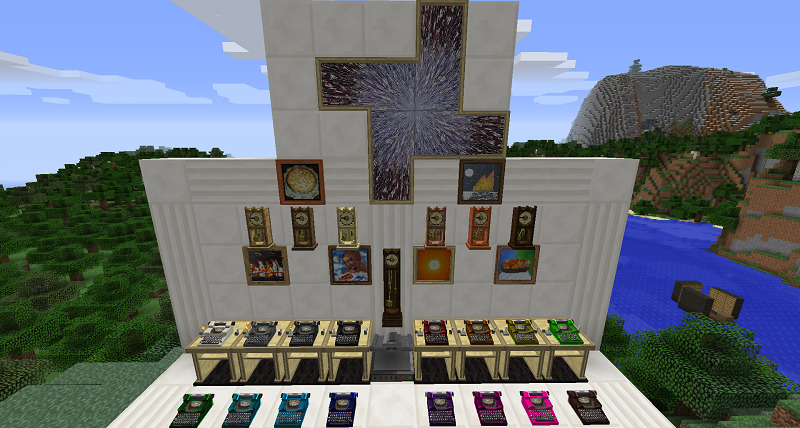 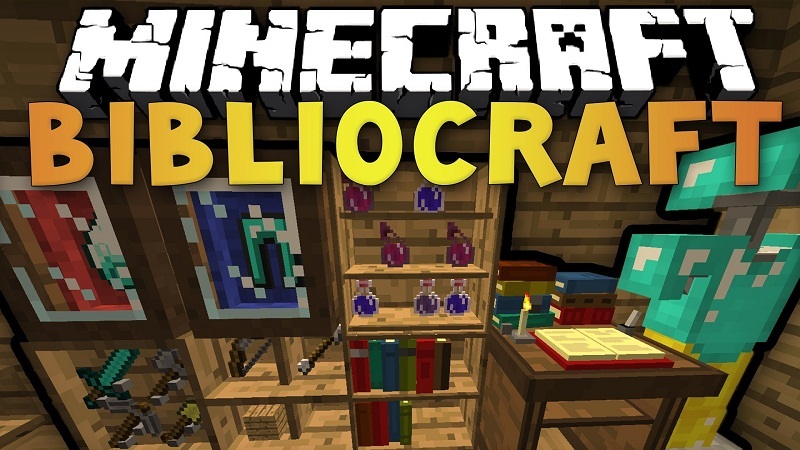 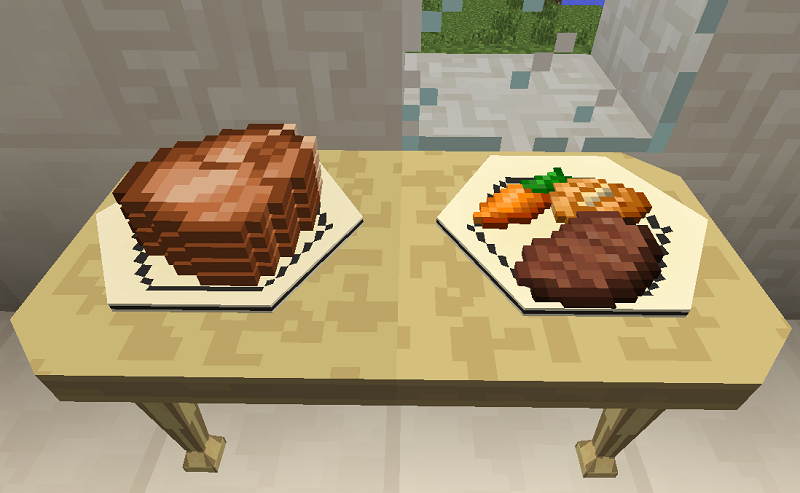 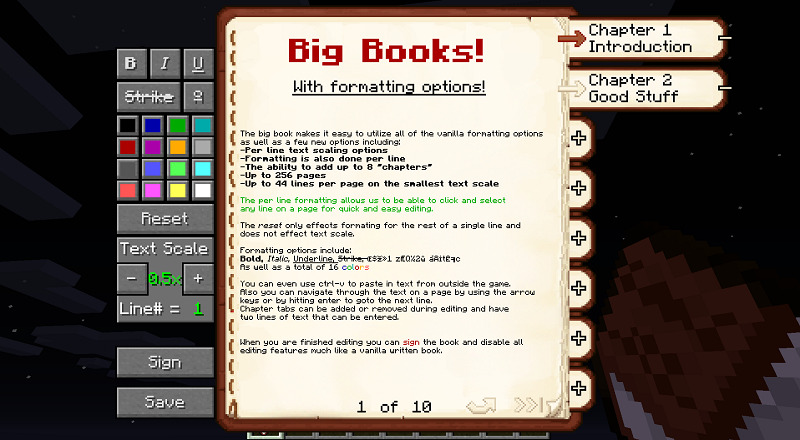 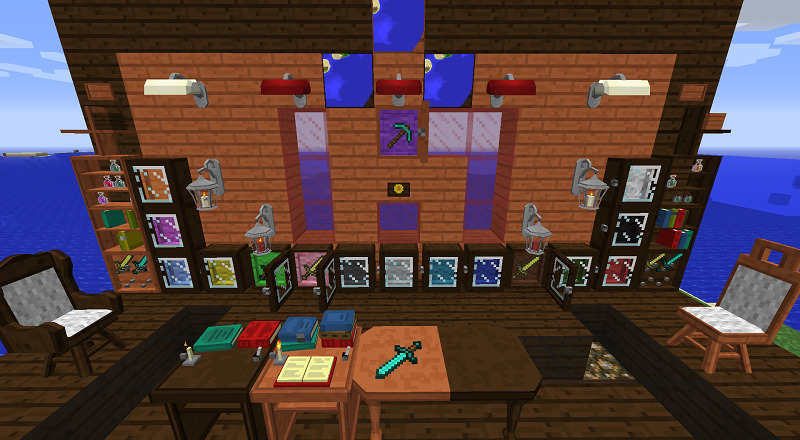 BiblioCraft Mod 1.12/1.11.2 is a fairly simple mod that includes 8 new types of unique storage blocks to display a few different items. 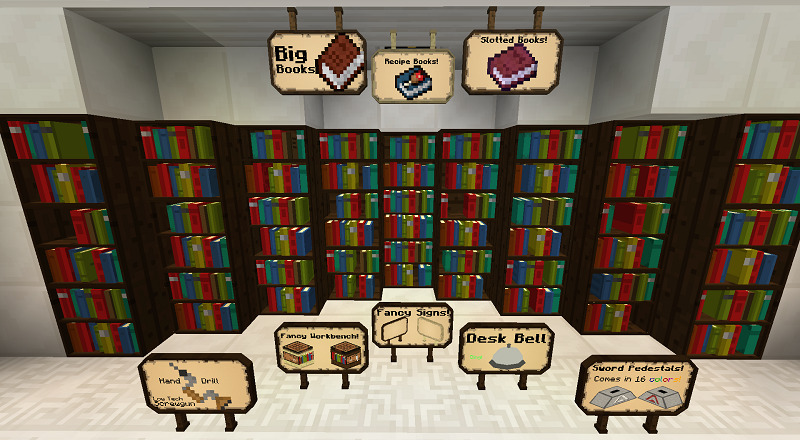 There is a bookcase that shows up to 16 books on the shelf to display a full set of armors. 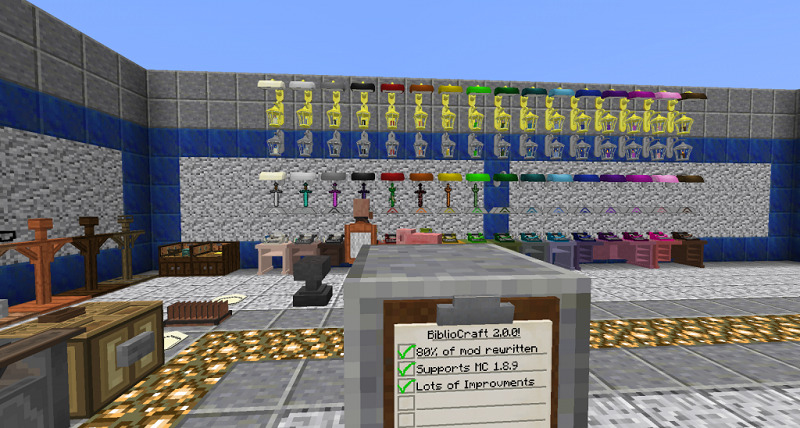 There is also a potion shelf storing up to 12 potions, a tool rack to hang 4 different tools/weapons, a general shelf that can display any 4 items, a display case for a single fancy item, and a wooden label displaying up to 3 items in a small scale for tasks such as indicating what is in a chest. 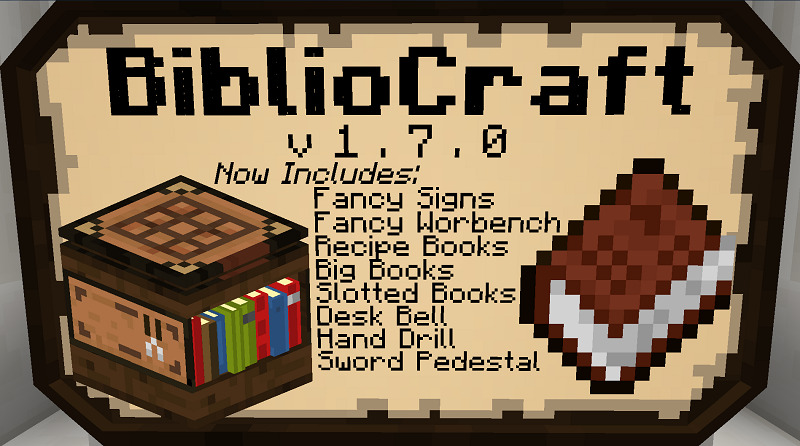 The newest edition includes the wooden desk that can store up to 9 books.